***UPDATE! 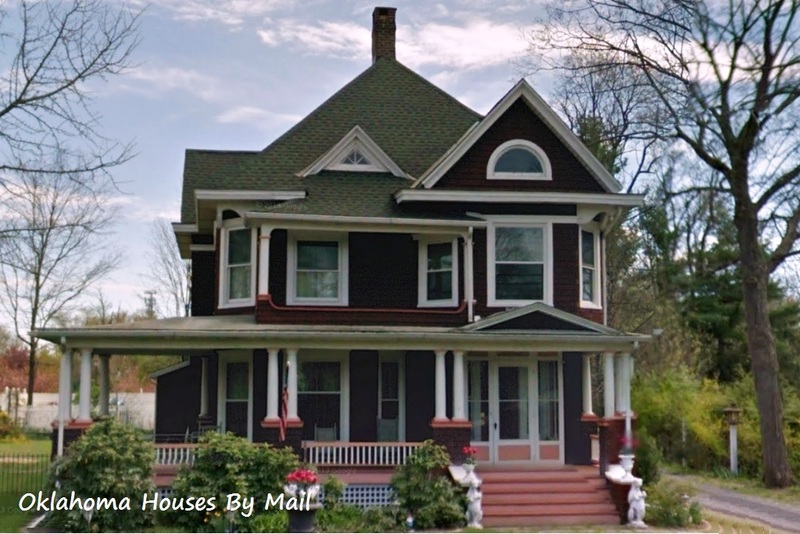 *** a reader came across this blog while researching their home and has some interesting information to share about their Radford #553. Yesterday I drove 80 miles to get my Cherokee Nation car title and tag for my car. Eighty miles? you ask. Who drives 80 miles to get their car tag renewed? I could have gone someplace much closer, yes. However, I made the drive to Sallisaw which is south and east of Tulsa for another reason. Sallisaw is the county seat for Sequoyah County and they have one of a handful of the Cherokee Nation Tag Offices. I went the extra miles for the adventure! I loaded up my camera and gathered my documents and set out to see what I could find. 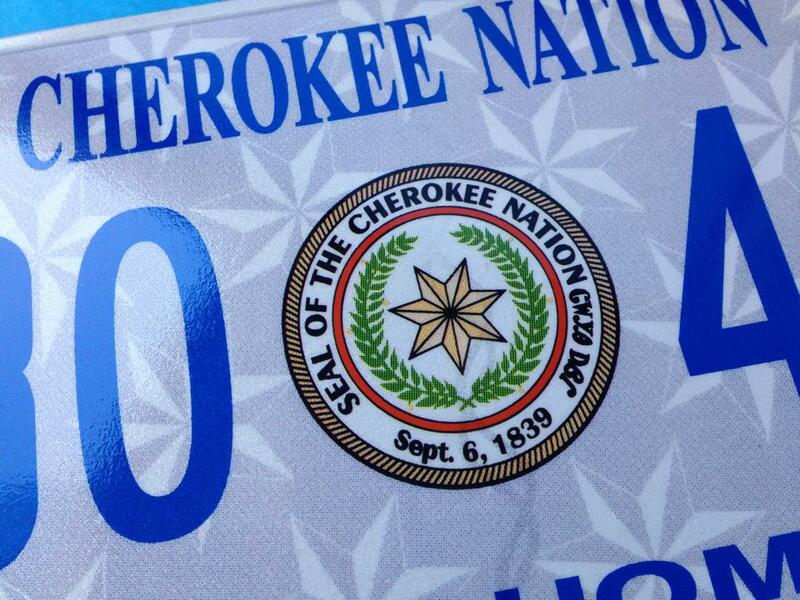 The Cherokee Nation Car Tag is a beautiful tag! I’ve always wanted one but I didn’t live within the boundaries until they were expanded a few months ago. I took a quick drive through the main thoroughfare of town since I have never been to Sallisaw, that I can recall. On one of the main streets, Wheeler Ave, I found a perfect example of a Radford Design No 553! I was excited. 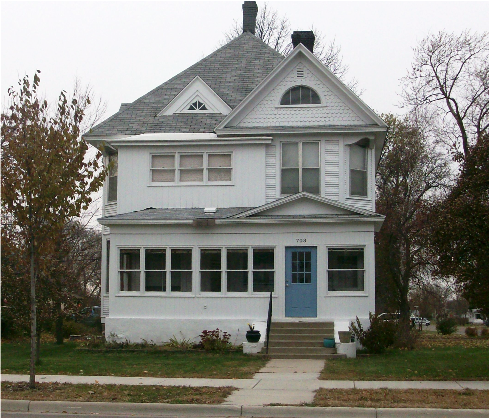 William A. Radford had an architectural firm in Chicago, Ill in the early 1900’s. He published several carpentry books and he was the editor of the trade journal American Builder. His homes are often mistaken for “Sears” houses. And, actually the mail order companies did use some of his patterns for their kits in the early years. I’m just as excited to find a Radford pattern home as I am a mail order kit home! Isn’t that a beautiful home? I wonder who lived there? I wonder if the current homeowners know what it is? I happened upon one in New York a few years ago that is across the street from a Sears #118. It’s a real beauty too! This google screen shot is the best I can do. The #553 from Radford publication 1903. That’s quite a house! I LOVE it!!! I spent some time trying to see what I could find on the house, nothing on the internet. I don’t know who lived there. 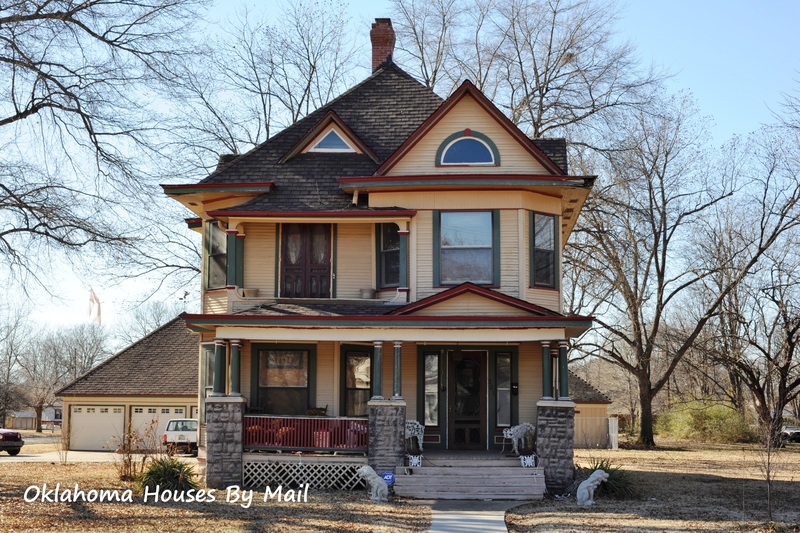 The census doesn’t list addresses in Sallisaw only Wheeler Road. The house is not on the 1904 Sanborn Fire Maps but is on the June 1909 Sanborn Maps. June 1909 Sanborn Map shows the house as the second house from Ida Av and Wheeler. 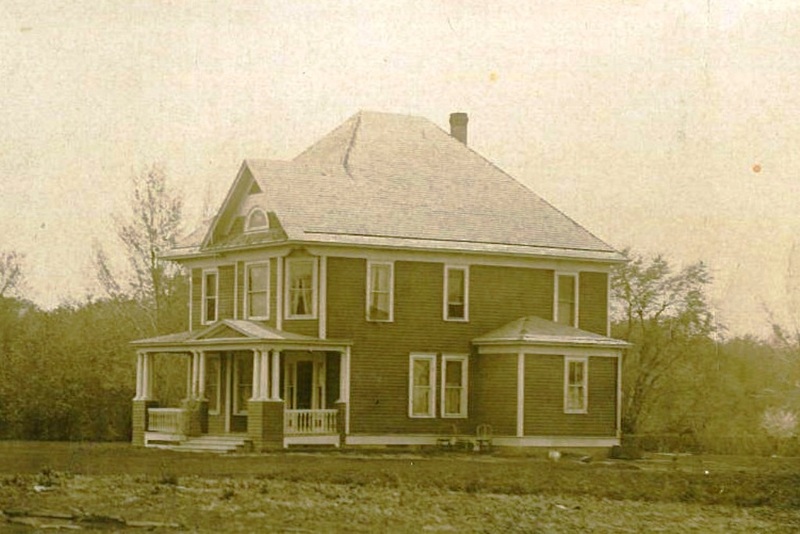 BTW, that corner house was gone by 1914. 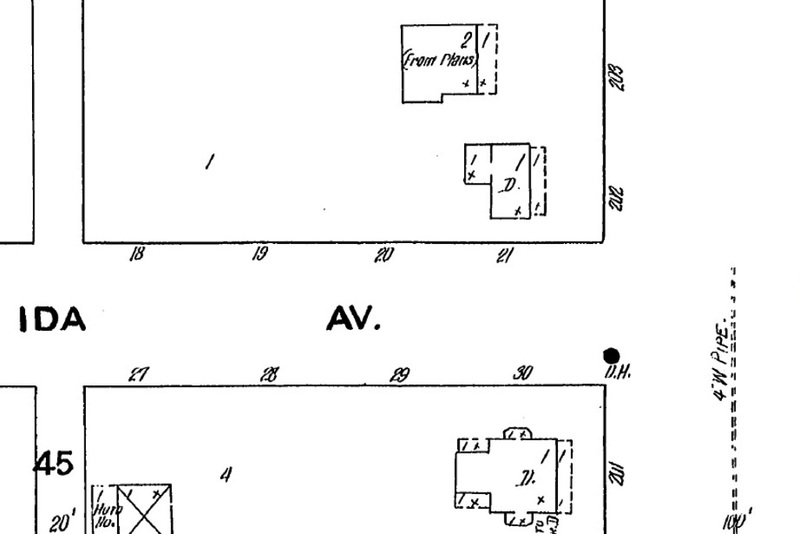 Upon close review of the Sanborn Maps I saw something I’ve never seen before, the house was notated as (from plans)! I looked at the entire town of Sallisaw and this was the only house with this note. June 1909 Sanborn Map shows the house was built from plans! 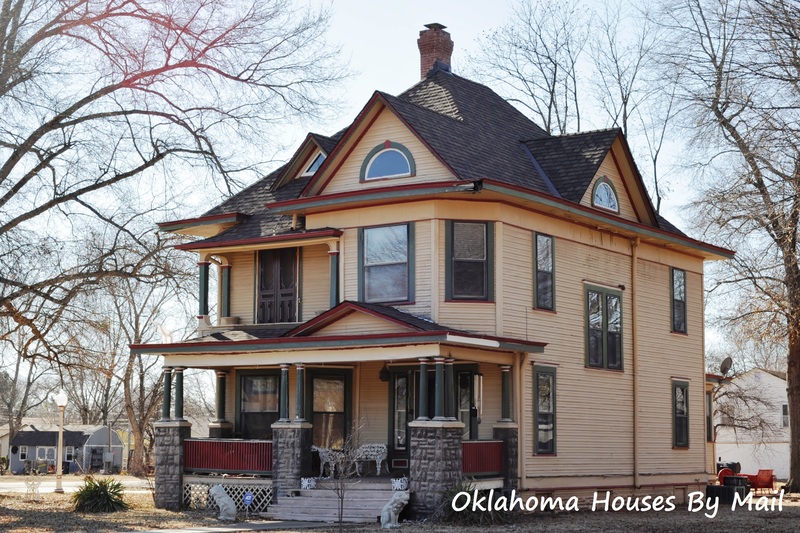 If you travel I40 through east Oklahoma take a drive through Sallisaw and you will find this beautiful home just a couple of miles north of I40 on the west side of Wheeler Ave.
Fortunately it was on the corner so I could get a good shot of the side and back. This is the south side of the house and faces Ida Ave. Here you can see the north side of the house. A perfect match on every side of the house! I enjoyed my adventure to Sallisaw and love my new Cherokee tag. 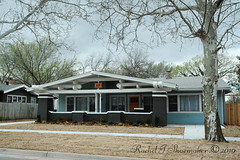 I stumbled upon your blog today as I was searching for information on Radford Homes. Two years ago we purchased for $500 at auction a 2 1/2 story, 1904 farmhouse and moved it 60 miles to a small parcel of land we had purchased near Lake Park, MN. 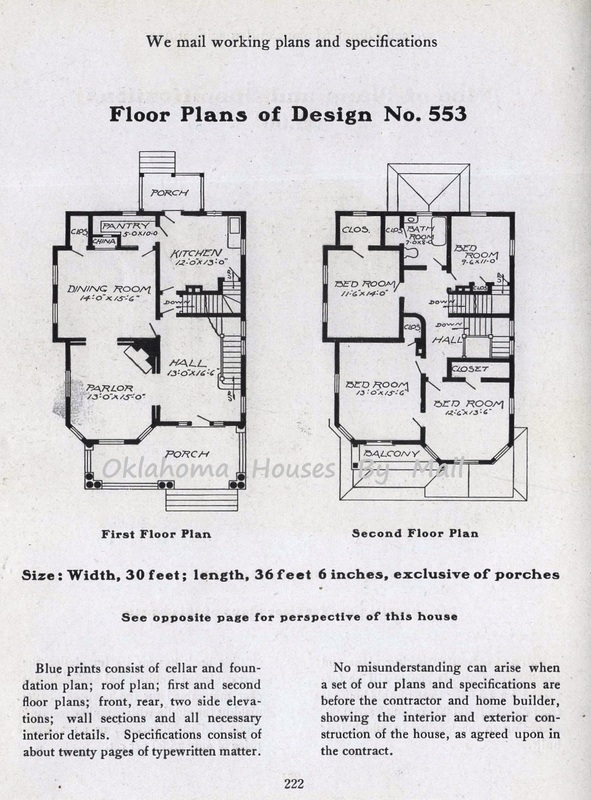 There is a nearly identical house on the main street of Wadena, MN (the city we currently reside in), so that led us to believe that the house plans for those houses were in one of the popular plan books of the time. 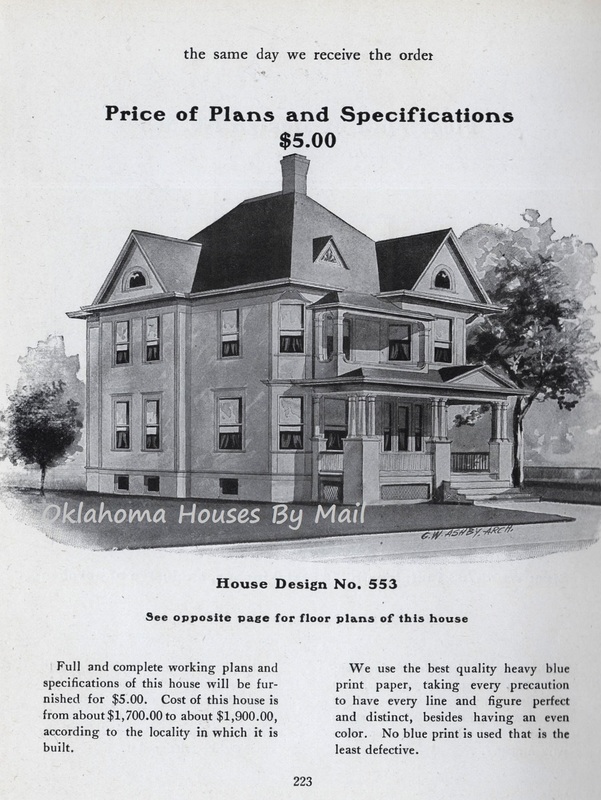 A few weeks ago, while my son was looking for treasures in the attic, we found the original Radford American Homes Specifications booklet for our house, #553! We were so excited to finally know what plan it was, and to be able to look up the original floor plan. Our house was built with only a back staircase – no pretty open stairway near the front door – in order to turn the what was supposed to be the front hall into a bedroom. Our house was also built without the second story balcony over the porch, and instead of a bump-out on the back, there used to be a bump-out on the side of our house. 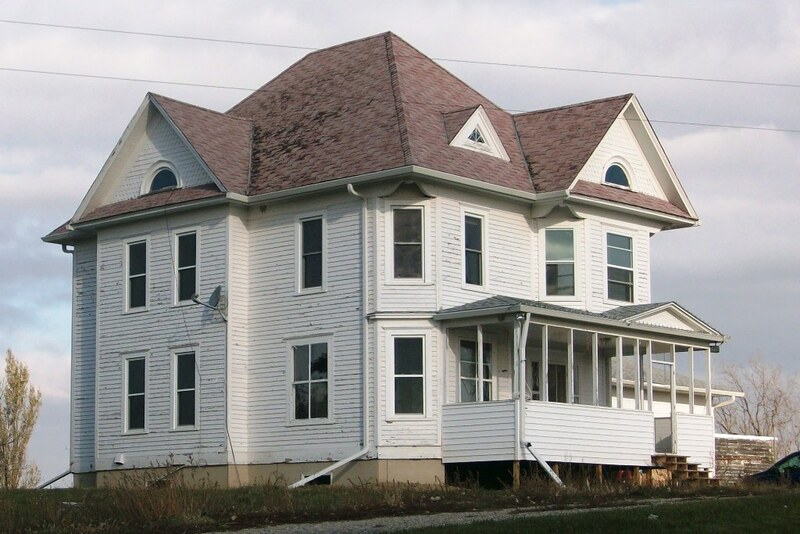 Our farmhouse was in the same family for over 100 years; we are the first non-related owners. I have been told that one of the former owner’s relatives has the original blueprints and am hoping to convince them to hand them over. We are considering adding a front staircase and it sure would help to have the original plans! The video takes a few minutes to load and is best viewed in a window less than full-screen. Thanks for sharing your discoveries on your blog! It was really neat to see other versions / color schemes of our house. 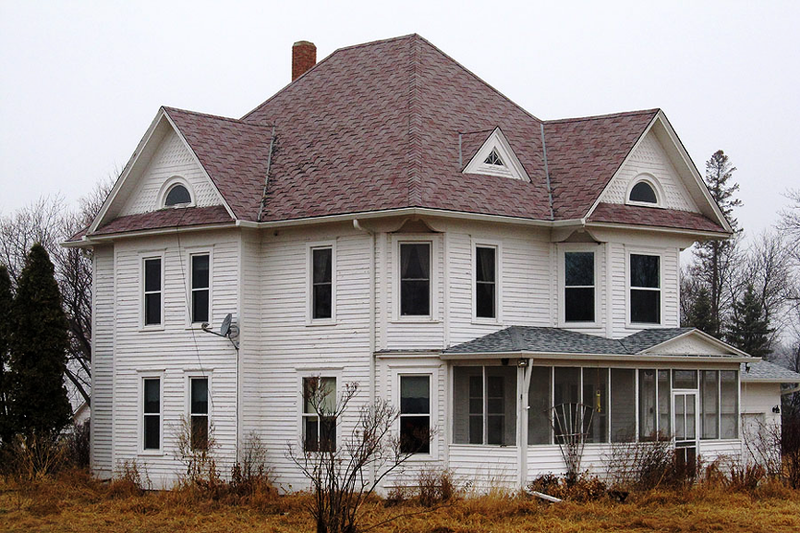 Our house was originally painted rusty red but at some point it was painted all white and the porch was enclosed. 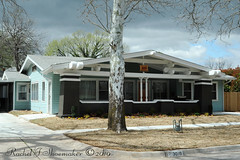 I would like to put some color back on it, and we are planning to rebuild the porch this summer. I have attached a few photos for you. You are welcome to use them on your site if you like. Thanks to Suzanne for providing the following photos of TWO Radford #553’s! A vintage photo of the original farmhouse a Radford #553! This is GREAT! 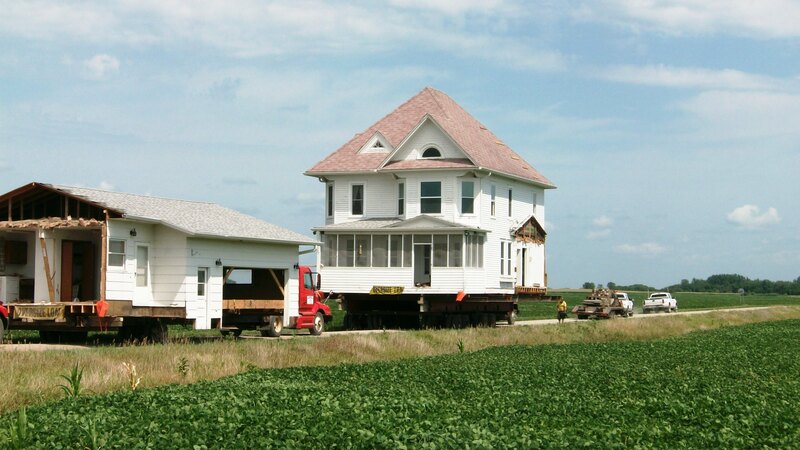 Who says you can’t move a 100 year old house 60 miles? And there she sits in all her glory. A 100 year old Radford #553 made the 60 mile journey to her new location. And on Main Street in Wadena, MN is ANOTHER Radford #553! Isn’t that fun? I am so happy that Suzanne found my blog. To my knowledge it is the only information that shows up on an internet search for the Radford #553. Thanks so much for sharing two more wonderful Radford homes with everyone! I love Radford’s designs and this is one of my favorites. Make sure you watch the video of their house being moved. It takes a few minutes to load but it is just AWESOME! Looks like it made the news as well! 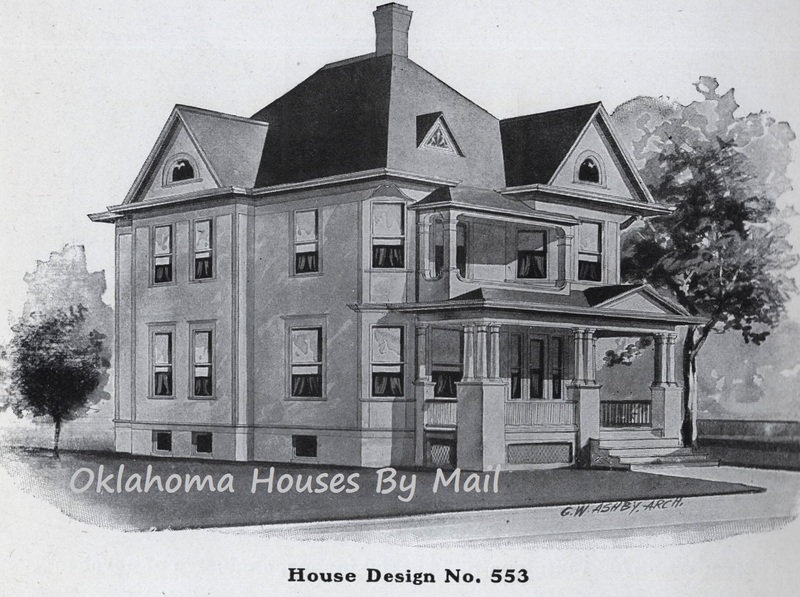 This entry was posted in Kit Homes of Oklahoma, Plan Book Houses and tagged Aladdin Homes, Aladdin Readi-Cut, American Builder, American Four square, Brady Heights Historic District, Bungalow, Catalog House, Cherokee Strip, Enid Oklahoma, Farm House, Gordon Van Tine, GW Shelby, Historic Oklahoma, Historic Tulsa, Houses By Mail, Kit Home, Kit Homes of Oklahoma, Kit House, Mail Order House, Montgomery Ward, Old House, Radford Architectural Firm, Radford Design 553, Radford Homes, Sallisaw, Sallisaw Oklahoma, Sears Catalog, Sears Homes, Sears House west of the Mississippi, Sequoyah County, Wardway, Wardway Homes, Wheeler Ave, Wheeler Ave Sallisaw, William A Radford. Bookmark the permalink. 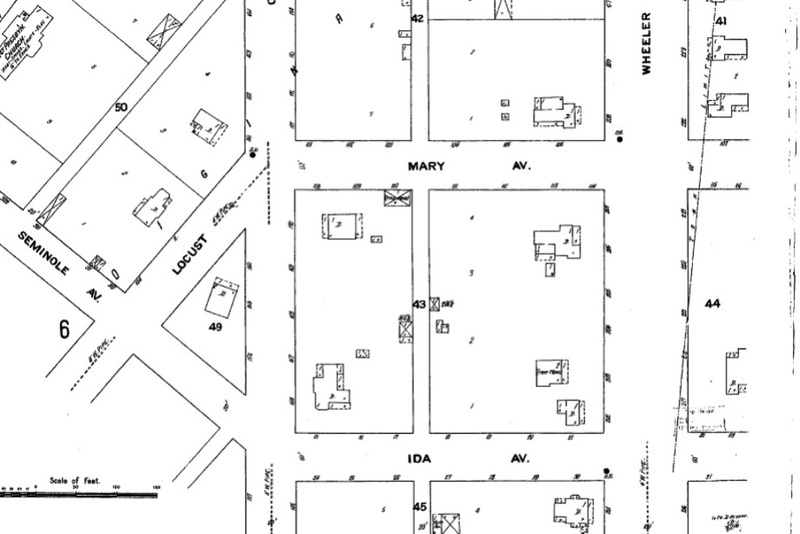 “From Plans” when seen on Sanborn Maps indicate that the building was not yet completed, but was included in the map based on the plans to build that were on file with the city. For instance, my house, which was completed in mid-1916, shows up on the 1915 Sanborn Map with an indication that the house was included based on the plans. So the indication on your map indicates that the building was likely either in the planning/permitting phases or under construction at the time the map was published. I LOVE Sanborn Maps. I’ve been using them for several years. I often just go through them to see what I can find and the changes that are made through the years. Per the homeowner, the house was built in 1906. Hi. I have been carefully studying the production and distribution of fire insurance maps for many years. 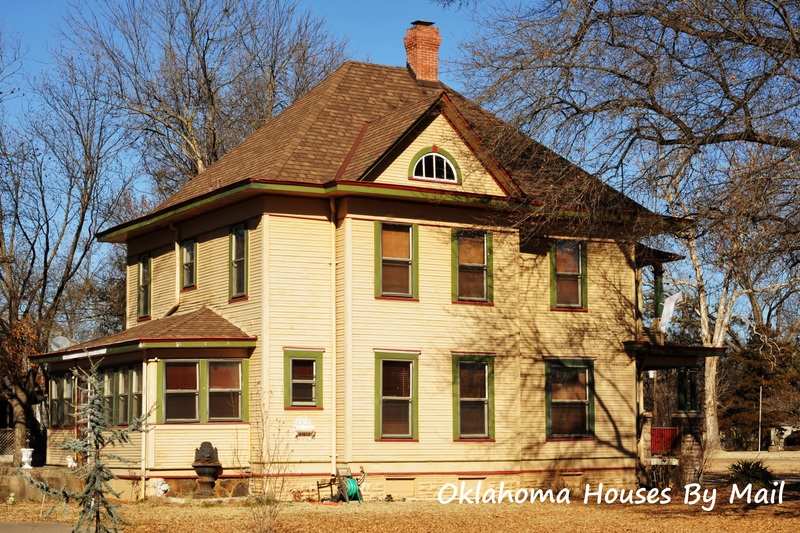 The notation on the house on Wheeler Street in Sallisaw tells us that construction was imminent or incomplete and that the surveyor drew the diagram from the builder’s plans. I’ve been using Sanborn Maps for 5 years in my research, they are awesome! I can spend hours looking through them. Thanks for reading my blog. What a pleasure to see a home like this looking loved and cared for. Thank you for sharing this with us. Thanks for sharing these Rachel. I love the old Radford designs. Your name alone has landed people on my blog! 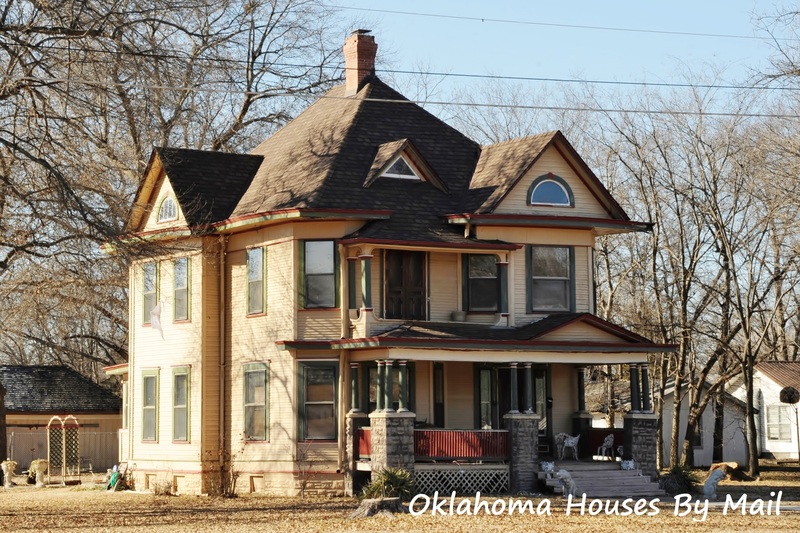 The victorian home on wheeler ave in sallisaw belongs to me. I’d be happy to answer any questions you have. Or any information you find on it i would love to hear it. I posted this below, but your house belonged to my great grandparents. They bought it in 1929 from a banker for $800 but it stayed in our family for many years. My grandmother (Lavelle Capps) sold it back in the 80’s (I think), did you buy it. It is a great house, well built and very unique. Her house was on South Locust St. Big, white four square style with a red roof. They just don’t build them like that anymore. 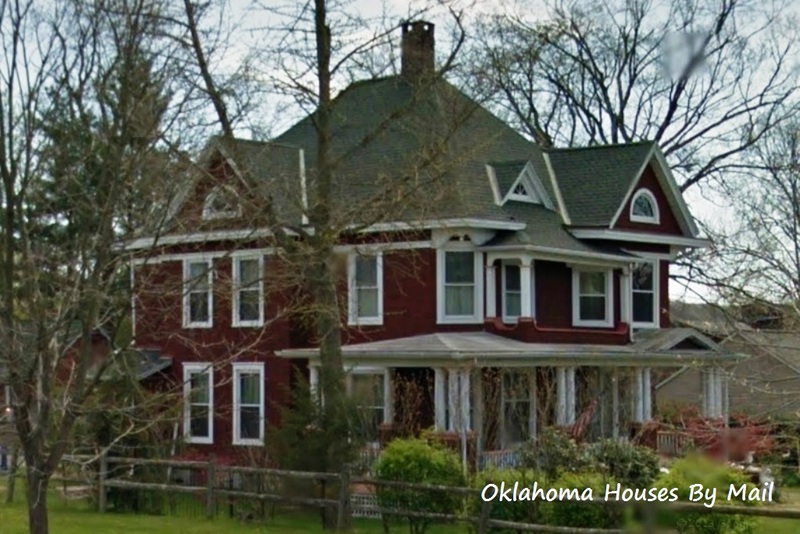 The house on Wheeler St. in Sallisaw was my great-grandparents house. My dad said they bought it in 1929 from a banker and it stayed in the family for many years. I don’t, but my dad or one of my two aunts might. If so, I will scan them and get them to you.